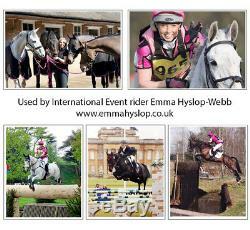 Voted "Winner" by Your Horse Magazine. 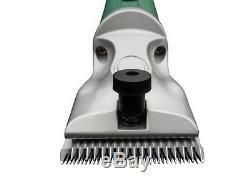 Heavy duty mains powered 200W horse clipper. High torque, permanent magnetic motor. 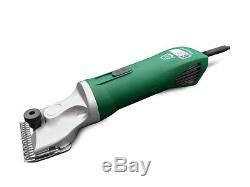 Fast cutting speed of 2600rpm with low vibration. 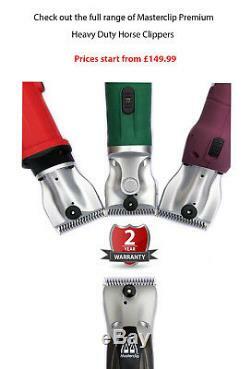 Includes one set of cool running A2 premium 1.5mm blades. Japanese toughened steel blades that stays sharper for longer. 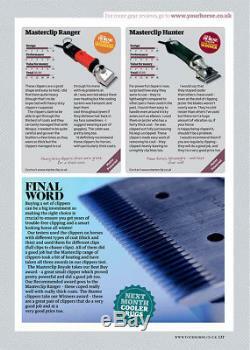 Superfine, medium & coarse A2 blades also available - see item number 201275042935. Modern and ergonomic in design. 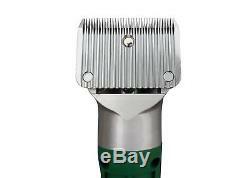 Well balanced clipper with slimline body. Easy to hold grip, suitable for all hand sizes. Quick and easy blade change system. Suitable for novice users through to professionals. Compatible with Lister A2 blades (not Heiniger style). Comes in sturdy carry case. Suitable for all coat types. FREE P&P to mainland UK, please ask for a quote to all other areas. A signature will be required upon receipt. Videos of this clipper in action are available on You Tube. For all other areas, please ask for a quote. Andis 5 in 1: blade coolant, disinfectant, lubricant, cleaner & rust preventative. 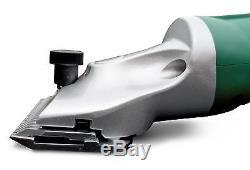 Helps reduce friction and heat when clipping. 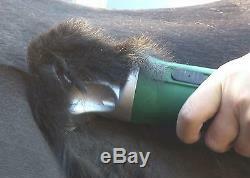 A UK Trademarked and Registered brand of horse clipper you can trust. 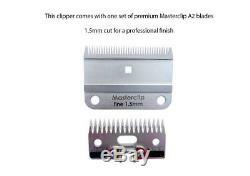 Masterclip clippers have been tried, tested and approved and have been demonstrated at Burghley, the Royal Welsh and Your Horse Live. The best customer service and aftercare available. VAT registered, UK LTD Company. 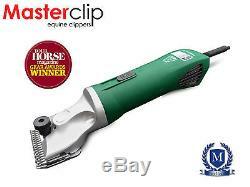 The item "Horse Clipper Masterclip Professional Hunter 200 Watt Heavy Duty Clippers" is in sale since Saturday, October 22, 2016. 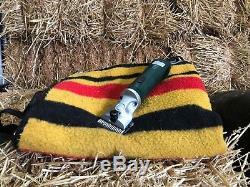 This item is in the category "Sporting Goods\Equestrian\Horse Care & Grooming\Other Horse Care & Grooming". 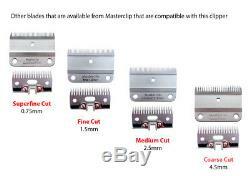 The seller is "masterclip-animal-clippers-uk" and is located in Market Harborough. This item can be shipped to United Kingdom, Antigua and barbuda, Austria, Belgium, Bulgaria, Croatia, Cyprus, Czech republic, Denmark, Estonia, Finland, France, Germany, Greece, Hungary, Ireland, Italy, Latvia, Lithuania, Luxembourg, Malta, Netherlands, Poland, Portugal, Romania, Slovakia, Slovenia, Spain, Sweden, Australia, United States, Canada, Brazil, Japan, New Zealand, China, Israel, Hong Kong, Norway, Indonesia, Malaysia, Mexico, Singapore, South Korea, Switzerland, Taiwan, Thailand, Bangladesh, Belize, Bermuda, Bolivia, Barbados, Brunei darussalam, Cayman islands, Dominica, Ecuador, Egypt, Guernsey, Gibraltar, Guadeloupe, Grenada, French guiana, Iceland, Jersey, Jordan, Cambodia, Saint kitts and nevis, Saint lucia, Liechtenstein, Sri lanka, Macao, Monaco, Maldives, Montserrat, Martinique, Nicaragua, Oman, Pakistan, Peru, Paraguay, Reunion, Turks and caicos islands, Aruba, Saudi arabia, South africa, United arab emirates, Ukraine, Chile.